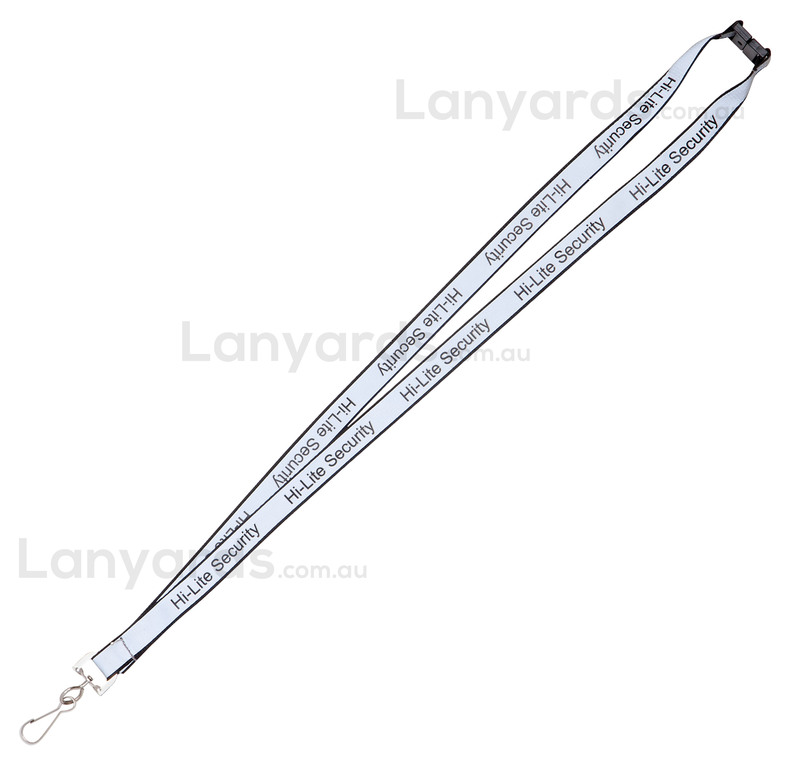 Safety lanyards with silver reflective top are highly visible and add that extra degree of safety for anyone wearing these lanyards. 15mm wide base and a printed top layer, you have a choice of six different card holder attachments for free. This style is well suited to outdoor workers or for anyone working in dimly lit areas where safety is a concern.